I want to format my pc. Can any one help me how to backup and restore autocorrect entries. (17-02-2013, 03:51 PM)timebomb Wrote: I want to format my pc. Can any one help me how to backup and restore autocorrect entries. 1. Normal.dot: Stores formatted AutoCorrect entries, AutoText entries, keyboard shortcuts, menu customizations, custom toolbars, styles, macros. 2. .acl file: Stores unformatted AutoCorrect entries. The easiest way to locate this file is to add an entry and look for the most current modified date in your search. 3. custom.dic file: Words you add during spellcheck. 4. Templates you create (.dot files). Where these files are located depends on your version of Word and Windows. The name of the .acl file also depends on your version of Word. 1. Right-click the Start button and select Find (Search in Windows XP). 2. Type the file name in the Name box. To locate the .acl file, type *.acl (asterisk dot acl) in the Name box. 3. Change the Look in box to your main drive. 4. Click Find (Search) Now. 5. When your file(s) appears in the search window, right-click the file and select SendTo to copy files to your floppy/Zip/CD. If you forget the location of the file when you need to restore it back to it's original folder, use Find (Search) again. With some installations of Word *and* Windows, your system may not locate or "recognize" the normal.dot and .acl file until you make valid changes to each file. Add entries to AutoCorrect and AutoText, close Word and answer yes to the prompt to save normal.dot, then try again to locate the files. Some installations of Windows XP hides various files. If your search does not reveal certain files, go to Windows Explorer/Tools menu/Folder Options/View tab and check the box next to "Show all hidden files" and clear the check mark next to "Hide extensions for known file types." Run search again. Note: If you are transferring the Word 97 .acl file to a later version of Word, you must first back up the username.acl file, then change the name of the file to match the name of the file in the later version before transferring. Word comes with a supplemental macros template that includes the AutoCorrect Utility. The utility is used to back up and restore entries. If you only do the backup portion, it will create a regular Word document that you can print. When transferring entries to another computer, you must install and run the utility on both computers. Note: The Microsoft utility will not work on multi-line entries. See the AutoCorrect Special download in our Software Vault to backup/restore multi-line and table entries. 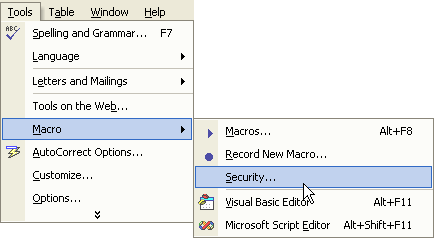 Then click the macro and select the option Backup. It will populate all the auto correct entries into a file. Save it. After formatting done. Do the same procedure and this time select the option Restore to restore all the entries.